Between 1812 and 1814, the U.S. and Great Britain fought each other in the War of 1812. 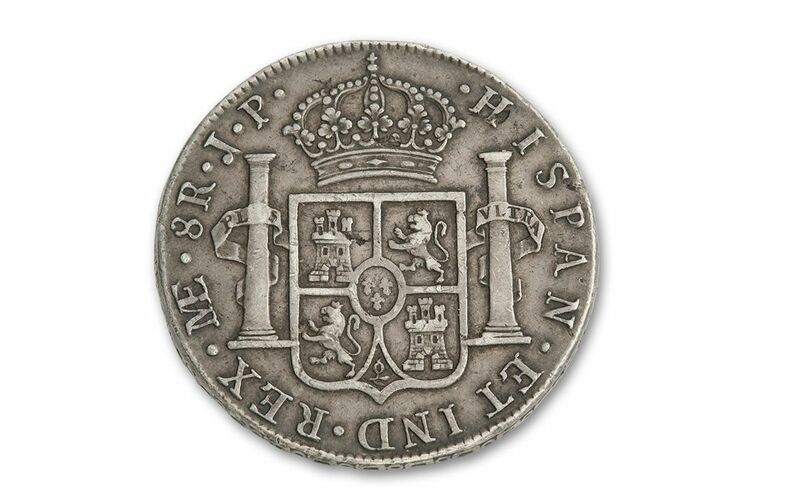 At the time, the U.S. Mint wasn’t striking Silver Dollars, because the Spanish 8 Reales Silver Dollar was legal-tender and circulated in place of U.S. Silver Dollars. 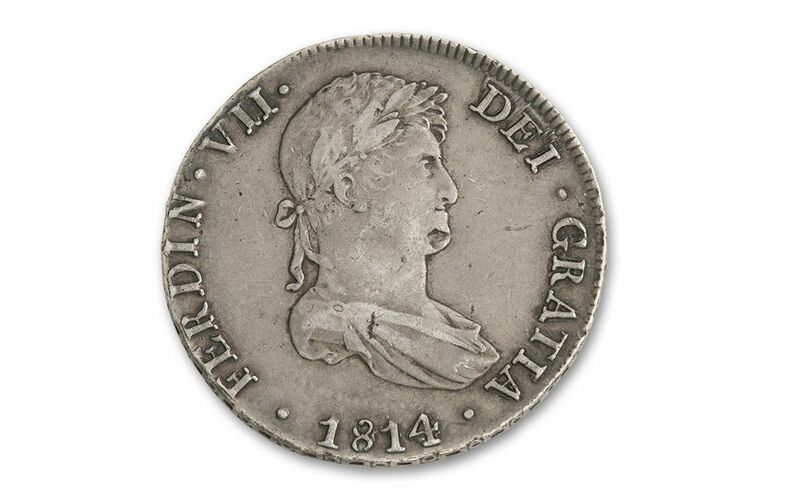 It’s widely known as a “piece of eight,” however was not routinely cut up for use as change. 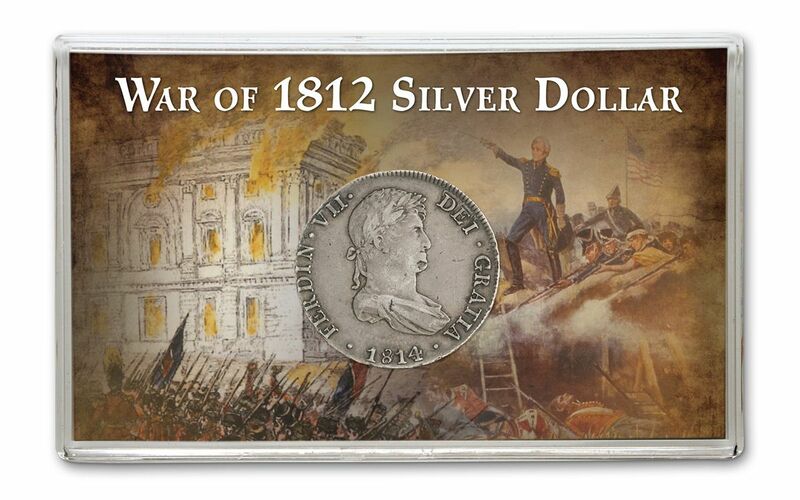 Now you can own one of these historic “Piece of Eight” Silver Dollars in its entirety. Dates vary between 1809 and 1814. 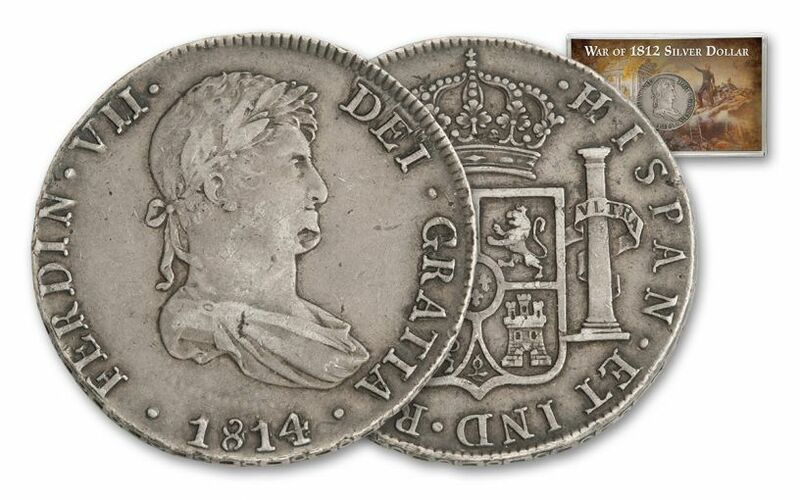 Each coin is struck in 90% silver, contains .77 ounces and is larger than a U.S. Silver Dollar. Just think, your coin could have been in President Madison’s pocket when he fled Washington and turned back to see the White House in flames, or in Andrew Jackson’s pocket at the Battle of New Orleans. Each is in Fine (F) condition, and comes in a custom holder.